There once was a little boy, born in a far off land. While he was still very young, his mother left him and moved to a distant country, and he was placed into the prison of abandonment. And the Father wept for His little beloved. The little boy was taken in by family, but was put to work at a very early age, and so received no formal education. He was placed in a prison of ignorance. And the Father wept for His little beloved. After many years, his mother returned with her husband from a distant country and took the little boy away with her to the distant country where he did not know the language, the customs or any of its people. He was placed in a prison of fear and confusion. And the Father wept for His little beloved. His step father was an evil man and sexually abused him. Though he tried to run away he was brought back to the home of his step father, where he was continually abused. He was placed in a prison of revulsion and anger. Finally, he escaped and lived on the streets until one night he was involved in the death of another man. He was convicted of murder and sentenced to prison. He was first in a prison of remorse, sadness, and hatred, and then was placed in a prison of the body. And the Father wept for His little beloved. He was moved from prison to prison from cell to cell. So, added to the prisons of his life thus far, his circumstances had placed him into a prison of loneliness. And the Father wept for His little beloved. But, unbeknownst to him, another man had been sentenced, for crimes that never happened, to the prison where he was finally settled. This man was a Catholic priest, and even though he himself knew the prison of abandonment, he did not allow it to define his life and so he befriended the young man from the far off land, and led him to relationship with Jesus Christ. And the Father leaped for joy to see His little beloved on the path to freedom, the path for which He had sent His Son to bleed and die, and then to rise again. As time passed, the young man and his priest friend consecrated themselves to the Sacred Heart of Jesus through the Immaculate Heart of Mary. They also discovered two very dear friends among the saints, Saint Maximilian Kolbe and Saint Padre Pio. Under the protection of Our Holy Mother, the Blood of Jesus Christ and with the intercession of their dear friends the saints, the prison walls of both of their lives have been disintegrating, because they cannot stand against the virtues of Faith, Hope and Love. This parable, like all parables is meant for each of us to ponder for we too have been placed in the prisons of our emotions by our circumstances, whether we were misled by others, or consciously took paths that led to these prisons. How we came to be in the prisons of our lives is far less important than how we can leave them behind. You see, some of these prisons, the prisons of our minds are prisons that we have willingly entered in the hope of escaping the other prisons of our lives. But, exchanging one prison for another or adding another prison to our already tortured lives is not the answer. Whatever the question, the answer is Jesus Christ. He was and is the perfect gift from the Father to you and to me, because He took on all our prisons and allowed them to be nailed to the Cross with Him. He returned them to their rightful place, Hell, and then He rose again from the dead. Unlike most parables, this one is based on the true story of Pornchai Maximilian Moontri, and his mentor and best friend Father Gordon MacRae. So, unlike most parables this one is before us every day for us to ponder, pray on, and then to accept the love of Christ, and the love of His Blessed Mother that has been bringing salvation to both Pornchai and to Father Gordon. Let the Father leap for joy at your acceptance of His Son as your Saviour. Let the Father leap for joy as you give your heart to Jesus to repair and heal, and to Mary to love you as only a perfect mother can. And turn to These Stone Walls and read as the parable continues to unfold. ==== This wonderful piece of writing (Sunday, September 14, 2014) comes to us from Sir Michael Brandon, who blogs at FreeThroughTruth. Message from Father Joseph, MIC for the Association of Marian Helpers and the Marians of the Immaculate Conception, Stockbridge, MA. In March 1992, an 18-year-old man named Pornchai Moontri, who was out of his mind from years of rage and a night of too much drinking, stumbled into a Shop ‘n Save supermarket in Maine and proceeded to take beer from the refrigerator, open it, and drink it. When confronted by the store manager, he tried to flee. Outside in the parking lot an altercation ensued, and a 27-year-old Shop ‘n Save employee was killed with a knife wielded by Pornchai. He was sentenced to 45 years in prison. He’s 41 years old today. Inside New Hampshire State Prison, Pornchai is inmate # 77948 - a number not a name. But God numbers every single hair on our heads, as Pornchai has since learned from Scripture (see Lk 12:7). How much more God must cherish every single one of His children, including - and most especially - the most broken and those in most need of His mercy. Pornchai was, indeed, among the most broken, among the most in need of the Lord’s mercy. By the grace of God, on April 10, 2010, in the prison chapel, Pornchai fully turned with trust to the Lord’s mercy when he received the Sacraments of Baptism and Confirmation. The following day - the Feast of Divine Mercy Sunday - he received his First Holy Communion from the Most Rev. John McCormack, bishop of Manchester, New Hampshire. The date was no accident. Pornchai, who keeps a Divine Mercy image on his cell wall, understood well its significance for him and countless other souls in need of God’s mercy. He understood about the “Feast of Mercy” because he had heard of Jesus’ revelations of Divine Mercy to a Polish nun, who is now canonized. In a series of revelations to St. Maria Faustina Kowalska in the 1930s, our Lord called for this special feast day. “On that day the very depths of My tender mercy are open,” Christ promised. “... The soul that will go to Confession and receive Holy Communion shall obtain complete forgiveness of sins and punishment. On that day are opened all the divine floodgates through which graces flow. Let no soul fear to draw near to Me, even though its sins be as scarlet” (Diary of St. Maria Faustina Kowalska, 699). As Fr. Seraphim Michalenko, MIC, is fond of saying, “The Divine Mercy message and devotion is the largest grassroots movement in the history of the Catholic Church. “And Marian Helpers have been, and continue to be, at the heart of it! P.S. Pornchai’s spiritual commitment to the Lord deepened further, thanks to Hearts Afire: Parish-based Programs from the Marian Fathers of the Immaculate Conception. On Nov. 24, 2013, he was one of 13 inmates in New Hampshire State Prison for Men who consecrated themselves to Jesus through Mary. On the occasion, Pornchai prayed to become an instrument in “Mary’s immaculate and merciful hands for bringing the greatest possible glory to God.” He took the name Maximilian as his Christian name so as to honor his patron, Saint Maximilian Kolbe. 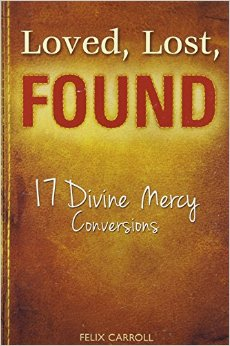 A new site, Mercy to the Max highlights the work of prominent Catholic writers on the inspiring story of Pornchai Moontri from despair to Divine Mercy conversion. We need your help for a simple but profoundly important task. Readers of These Stone Walls know that I have struggled against the injustices of false witness and wrongful imprisonment for going on 21 years. Six years ago, after 15 years in this prison, These Stone Walls came into being, dedicated to the spiritual patronage of Saint Maximilian Kolbe, a priest and prolific writer who was unjustly sent to prison at Auschwitz after the Nazi invasion of Poland in 1939. I have been unable to discern any earthly justice in my imprisonment. But while I have been here in this darkness, other truths have slowly been revealed to me. One of those truths is that our suffering, when offered as a share in the suffering of Christ, is not endured in vain. It’s a truth I have come to learn a good deal about thanks to the Marian Fathers of the National Shrine of the Divine Mercy, and the writings of Father Michael Gaitley and Felix Carroll. In prison, I have been an eye witness to some remarkable journeys toward freedom, and one of those journeys is a story I cannot yet fully tell. I have seen a young man in the grip of hostile despair with a past that would utterly destroy lesser men. I have seen his life in ruins because of the violence of others and the violence that thus consumed his life. I have seen this man called out of darkness. I cannot claim to be a part of the Divine Mercy that infiltrated this man’s mind and soul with amazing grace to turn a life of suffering over to a life of service to God. I can only claim to be a witness to it. I was with Pornchai Moontri when he died to himself and his past. I was with him when Saint Maximilian Kolbe rose up within him to replace him. I was with him when he entrusted his life to Christ through the Immaculate Heart of Mary. And throughout it all, I, too, was dragged into the rays of Divine Mercy, inspired, like Pornchai, to endure suffering through Him, with Him, and in Him with a hope born of faith that suffering so offered has a sacred purpose. 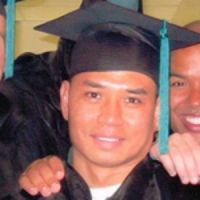 When Pornchai Maximilian Moontri was received into the Church on Divine Mercy Sunday, 2010, I saw a man raised from the dead with a new name and a new life. From that day forward, I have stopped asking the Lord, “Why me?” I no longer dare to ask, for had He heard my pleas over all those years, had He freed me as I begged Him to, this story may be very different. Over the last year I have become aware of the entire life story of Pornchai Maximilian Moontri thanks to the work of some dedicated people. Now that I know all of it, I can never again view faith, or priesthood, or even prison in the same way as I did when I entered my own darkness. I am not yet able to write it all, but someday soon I must and will, and so will others. In coming months many people who have been working quietly behind the scenes will embark on a mission to restore Pornchai’s life in the land of his birth. People on four continents are involved in this effort, something that unfolded with a life of its own. A Catholic organization known as Divine Mercy Thailand has been working quietly in Bangkok to assist in this eventual homecoming. As this effort gets underway, we want to introduce you to Mercy to the Max, a new site that collects in one place the many writings of some well known and less known Catholic writers who have taken up pen to bring you this remarkable story. They include the journalist, Felix Carroll, now Executive Editor of Marian Helper magazine, Ryan MacDonald, a columnist with Spero News, several posts from These Stone Walls, and other writers whose names you will recognize. Our friends who created the new site will be adding to it over time until the entire story is told. This is where we need your help. As we launch Mercy to the Max [ https://mercytothemax.wordpress.com/ ], it is important to create links to it on the sidebars of your websites and blogs, your FaceBook and Linked-in pages, etc., and then click on those links! These “authorities” coming from authentic sources kickstart internet search indexers to pay attention to Mercy to the Max. This is critically important to the effort now underway. There is really an incredible and inspiring story behind all this, and it will be told in due time in its entirety on These Stone Walls. In the meantime, please take some time to review Mercy to the Max, and to share a link wherever you can, clicking on those links to make sure they work! Let’s make this a team effort. And please do spend some time there, getting ready for updates, etc., by bookmarking the site and using the sharing buttons.